These arms are very versatile and will go with just about any of our other Leather Armour and probably any of your existing leather armour. Our 1/2 Arms are adjustable for your forearm length and reversible, too! One day you are sword fighting and need protection on the outside of your forearm. 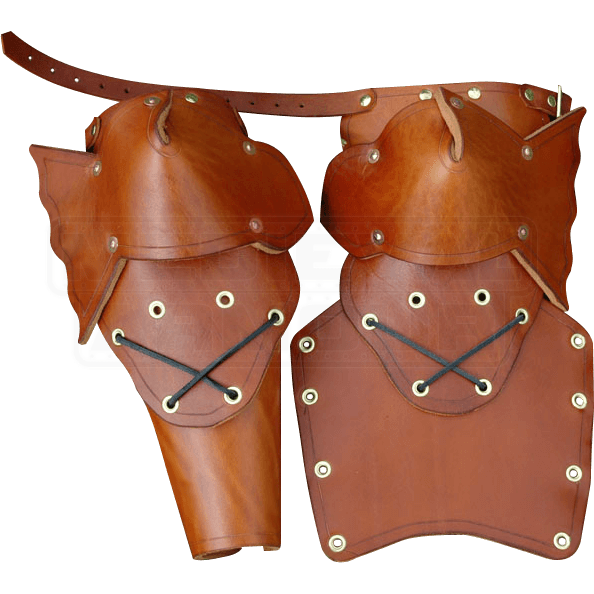 The next day you are an archer and require protection on the inside of your forearm. Simply remove and reverse the lower cannon, lace back up, and start shooting! This armour is a must for any multi-talented re-enactor. It is available in black or brown. This is a standard size. The arm bracer is 9 Inches long. These are sturdy and well made, they look fine. 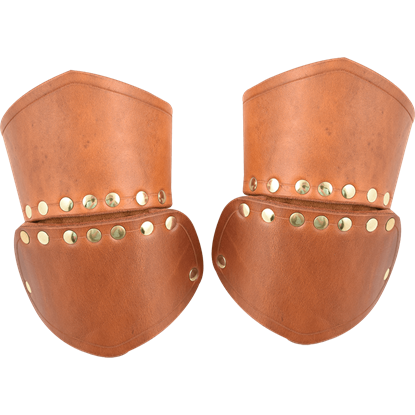 Less bulky and restrictive than the full arm armor, works well with longer type pauldrons, or half sleeve chainmail. If this is how you set it up, then I highly recommend these arm guards. Leather gauntlet gloves slide over nicely thanks to the lacing design. 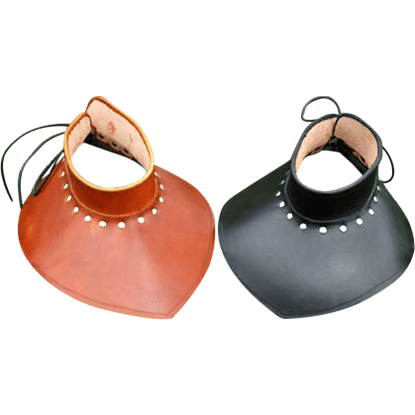 This gorget provides 360 degrees of neck protection and laces at the back of the neck where it overlaps itself. It is designed to follow the natural contour of the neck and shoulder to provide the utmost protection.